I am investigating nutrition coaching. Mainly to form an eating plan for life. Secondly, to try to put the finishing touches on how I want my body to look like for life. I had a preliminary meeting with Colorado Nutrition and has my body fat, lean muscle mass, and BMI assessed. It’s been a year since I’ve done this. In the last year, I’ve gained 10 pounds, and I thought mostly in fat. However, it turns out my body fat percentage is only 11.3%. My BMI is 21.0. I only have 15.2 pounds of fat on my body. Still, all of my fat is around my belly, and I don’t like how I look. I’m trying to figure this out, so I can enjoy all of my hard work instead of be so critical of how I look. Why are There So Many Gyms? It seems like everywhere you turn, there’s a new gym being built. They seem to be almost as ubiquitous as banks. But why? And is there really that many people exercising? According to the IHRSA (International Health, Racquet & Sportsclub Association), the $30 billion health and fitness industry in the U.S. has been growing by at least three to four percent annually for the last ten years and shows no signs of slowing down anytime soon. If anything, it’s accelerating. Currently about 20 percent of American adults have a fitness club membership, a number which could double in the next ten years. WHAT IS FUELING THE GROWTH IN THE FITNESS INDUSTRY? The cost of healthcare. As the cost of healthcare continues to rise, people (and employers) are realizing the value of a healthy lifestyle. Many employers and insurers now cover the costs of a health club membership or studio classes. The growth in organic foods. Gone are the days when McDonald’s was the go-to for dinner. As more people care about what they put into their bodies in terms of food, there is a trickle down effect in terms of what else they can do to be healthy. Fitbits. Who would have thought that the idea of tracking your step, your heart rate while working out, and the number of calories burned while exercising would fuel a growth in exercise? It has. Having your Fitbit, Apple Watch, Garmin, and even many of the smartphones at your fingertips has raised awareness of your health and gotten more people to realize health is important in their lives. Streaming exercises. Many people don’t exercise because it’s just one more thing to add to their already busy lives. Getting to the gym can take valuable time. Hence, the growth in the idea of attending a class at home at your convenience has taken root and, surprisingly, had not caused a dip in gym memberships. Research has shown most of these people do maintain a gym membership, but also utilize streaming as well. Two segments of the fitness industry have been responsible for the majority of its recent growth in members and number of facilities: Boutique fitness studios and “high-value, low-price” (HVLP) health clubs. Inexpensive gyms with great equipment has exploded as gym owners utilize the fact that 150 people who can pay $30 is more revenue that 30 who can pay $130 dollars. Plus, by stripping out the amenities (like towels) provided by traditional gyms, HVLPs save money, which they pass on to their clients. Less impactful, but still important, are boutique studios, which have also been growing very quickly all over the country. These studios are usually small and specialized. Spinning, high-intensity interval training classes, circuit training, barre, and Pilates are examples. They are also generally on the higher end price-wise, ranging from $20 – $50 a class, or $150 – $200 month. Selling points for these are the central locations (since they can fit almost anywhere), the specialization, and the camaraderie fostered by the smaller, more quaint environment. For the time being, consumers certainly don’t seem to mind the prices, but time will tell – especially if the economy changes. Outdoor obstacle races. The Tough Mudder and The Spartan events usually draw huge crowds, mainly from the sense of teamwork and personal accomplishment that comes with completing one — not to mention they are a blast. These races have been growing in popularity for many years and with the races now broken down by skill level, the appeal of them has only grown. But what makes these one-off events have such a major impact on the fitness industry’s growth? You have to train for them —hard – and many times people do it in a health club. The number one factor in how your body looks is the food you eat. Period. From my own struggles with food, I’ve learned this is the truth. Exercise is key as well, but it’s not as important as food. 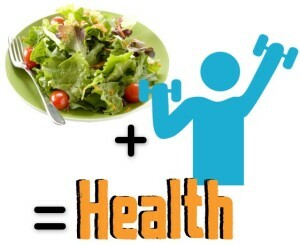 If you’re not eating healthy, you’re negating all the exercise work you do. You can run, bike, swim, lift all you want and you’ll never have the look you desire if you eat fast food every other day and have ice cream and chocolate for dessert every meal. This has to do with the hormones and insulin your body secretes in response to the types of food you ingest. You are either triggering fat-storage mode, sustaining mode, or losing weight mode. Adjust your diet FIRST. Nail it down. Research. Find the “diet” (really nutrition plan) that works for you and your lifestyle and put all your focus on implementing it. THEN add in exercise and come up with a sustainable exercise program that works for you and your lifestyle, interests, and hobbies. “Going to the gym” is not the only form of exercise. Find your passion: climbing, biking, swimming, running, kayaking, hiking, walking, mountain biking, snowmobiling, skiing, boating, etc. If it’s a passion, you’ll stay with it. Finally, COMMIT. You have to commit to both for the short-term and for the long-term. Hopefully, we all lead long lives. We need to be healthy for all of it, not just for a month or two every few years. Commit to diet. Commit to exercise. Nail it. Combine the two (nutrition for life and life-long exercise) and you’ll be happier, have more energy, and lead the best possible life you can. Commit to you. By committing to you, you commit to your family, your job, your community, society, etc. But it has to start with you! It’s THAT important. Do it now! The beauty of group fitness classes. You show up. You don’t have to think. All you have to do is listen and mimic. As beautiful as a gossomer spider web with morning dew. Lately, I’ve had a HUGE problem staying on my diet. I’m tired of being hungry all the time and craving sugar. I need someone to tell me what to do. And the tools to follow for the rest of my life. Healthiness for life, I pray.